You probably know by now that there aren’t any good ways to listen to podcasts direct from Apple Watch. Many of us have been grumbling about this since watchOS 4 first came out. If you don’t know, Apple killed a key programming function that allowed background audio apps to run and provide good controls. Since then, podcast apps for the Apple Watch have become few and far between. One of our favorites, Overcast, disappeared from the wrist and Pocket Casts suffers from problems on Apple Watch. However, there is one app providing a good podcast listening experience on Apple Watch, with a caveat or two. That app is aptly named Watch Player. 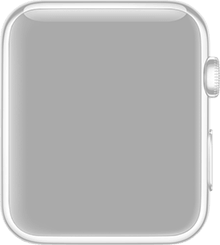 With Watch Player, you can install your podcasts straight to your Apple Watch without any workarounds or hacks. The app allows you to search for your favorite podcasts, or add them by URL. Unfortunately, it cannot read directly from your Podcasts app. Once you have your podcasts lined up and marked for transfer, you just tap the top left outbox-like icon. Your podcast episodes will start loading on your wearable device. This is where the pain comes in, I’m afraid. The transfer process is speed-controlled by iOS and watchOS, and there’s no way to give it priority. This means there’s usually no way of guessing how long it’s going to take to be ready to listen to your podcasts straight from Apple Watch. You can also send feeds directly to the Apple Watch from the app. 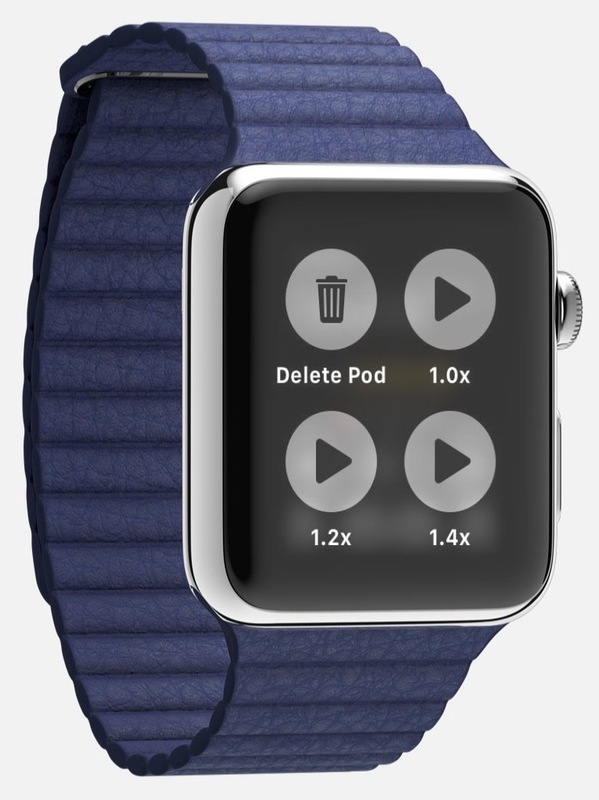 Then you can download episodes directly to the wrist using Watch Player on your wearable device. With this method, the transfer rate can sometimes (or often) be even slower than sending episodes from your iPhone to your Apple Watch. In my testing, it took about five minutes to download a twenty-minute podcast one time, and almost ten minutes for another similarly-sized episode. Once you have the episodes downloaded, you can listen to your podcasts straight from Apple Watch. You no longer need to have your iPhone with you. All you have to do is pair a set of Bluetooth headphones to your Apple Watch. The player offers controls for rewinding and fast forwarding within an episode. You can also skip forwards or backwards. If you Force Touch the player while listening, you can delete the podcast from your Apple Watch or adjust the playback speed. Unfortunately, you cannot control the volume from within Watch Player. If you want to change how quiet or loud the podcast plays, you have to do so from the Now Playing screen. 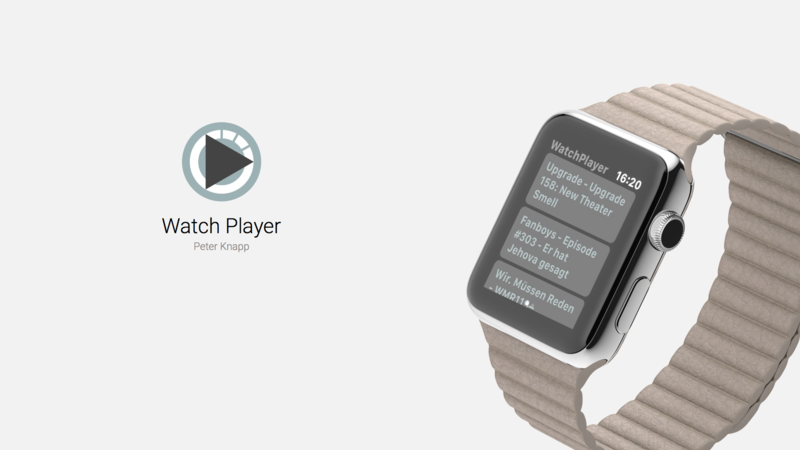 Watch Player is a paid offering available on the App Store. There are no in-app purchases required to make use of all of Watch Player’s functions, but you can tip the developer using a button within the iPhone version of the app.